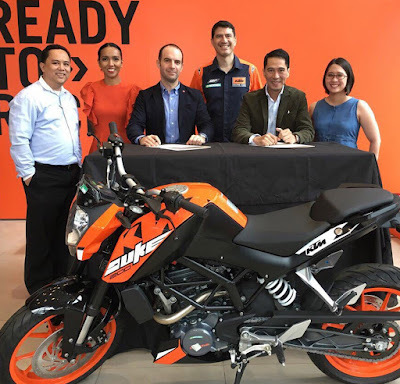 KTM Philippines has officially partnered with Ibero Asistencia, pioneering company for global roadside and travel assistance. With the partnership, KTM motorcycle riders can now enjoy benefits that include 24/7 hotline to request towing, removal and recovery of motorcycle in case of accident, delivery of emergency fuel or spare key, key protection cover, accident coordination or arrangement for hospital admission, ambulance coordination assistance, traffic advisory or directory assistance and emergency message relay. Lodging or travelling expenses of the client will be covered while his/her motorcycle is immobilized. 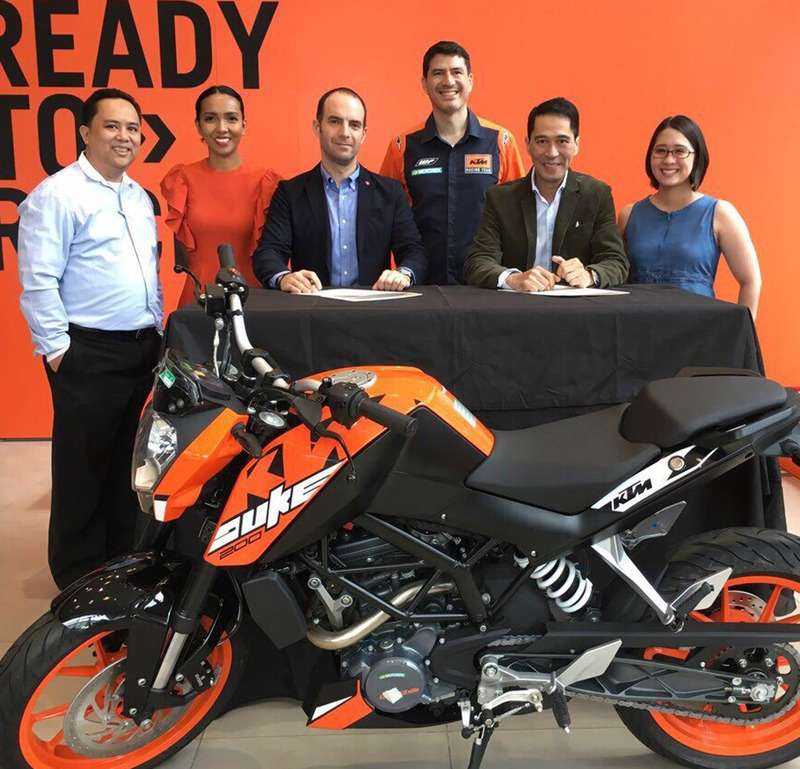 Present during the contract signing were (L-R) Ibero Asistencia head of sales for automotive Romualdo Manzarate, Adventure Cycle Philippines Inc. head of marketing Ana Lumban, Ibero Asistencia Philippines general manager Antonio Toledano, Adventure Cycle Philippines Inc. VP and head of after sales Carl Rene Decloedt, Adventure Cycle Philippines Inc. president and COO Andre Angelo Santos and Adventure Cycle Philippines Inc. dealer marketing officer Abi Paras.